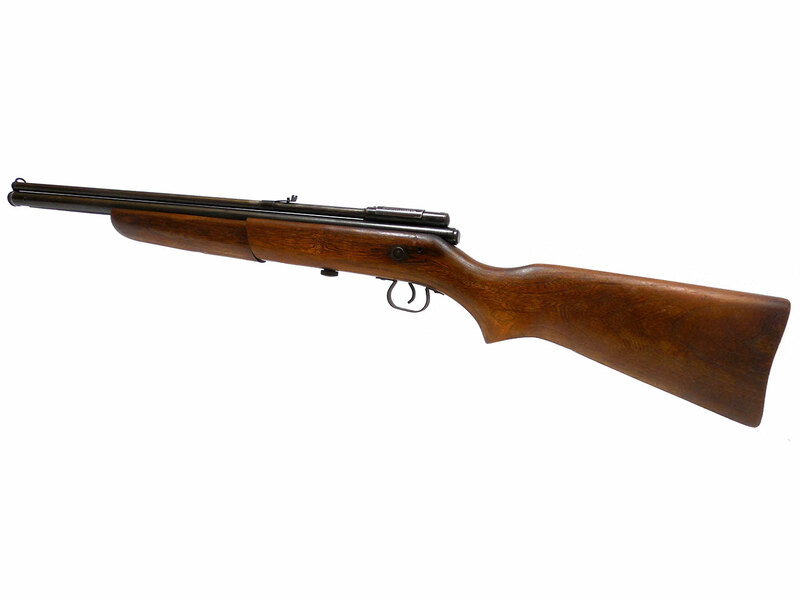 The third variant Crosman Model 140 was made from 1956 to 1962. They are the first variant to not have a spoon handle breech cover, and also the most valuable of all 4 variants. 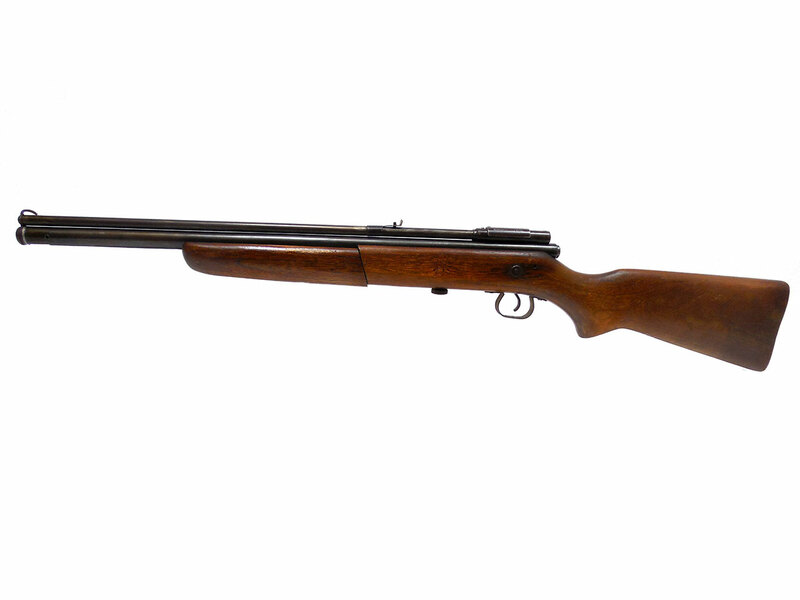 It is a .22 caliber single shot, multi-pump air rifle. 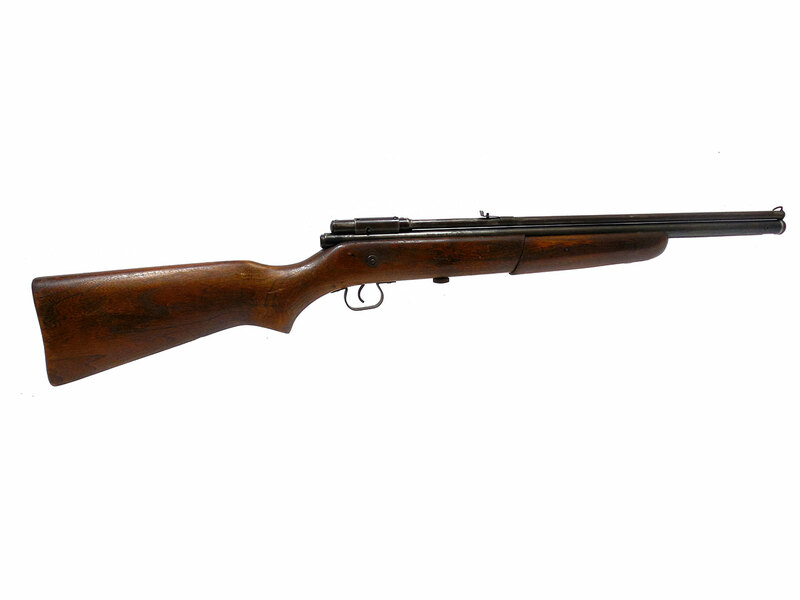 It features a rifled steel barrel, hardwood stock and machined metal construction. 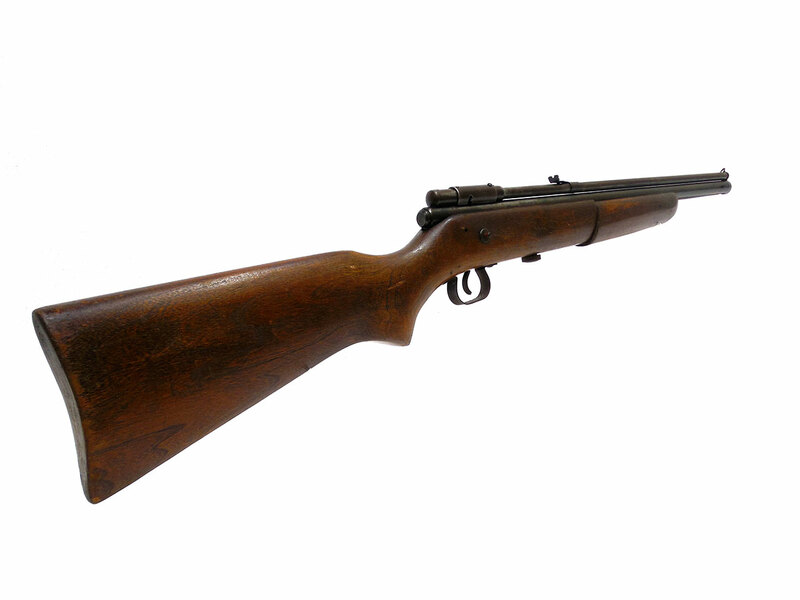 The wood stock and forearm has some minor wear but is in solid condition. The metal retains about 85% of the finish. We cleaned, lubed, and resealed this one in our shop, plus tested the velocity at 636 fps using lead pellets. 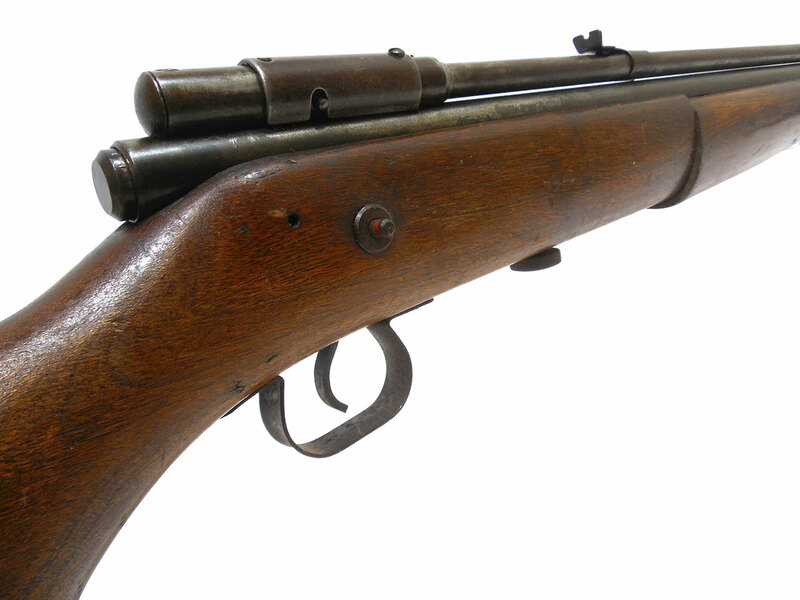 Good collector’s gun, or just for shooting.